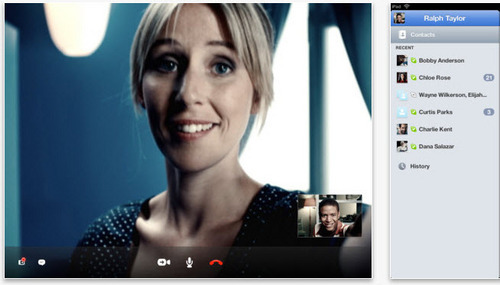 Skype Releases Retina-Optimized Skype for iPad | One Stop I.T. Skype just released a new Retina-optimized version of Skype for iPad. Now your video conferences will look better than ever. So go download the Skype for iPad 3 Skype for new iPad app from the Apple App Store. I’d really like to call it Skype for iPad 3, but alas Apple dropped that whole iPad version numbering scheme for simplicity sake, but I won’t argue the idiocy of this again.